Yesterday, NOAA released shrimp landings data from the Gulf of Mexico for August 2016. The 14.2 million pounds of shrimp landed in the Gulf of Mexico last month were the lowest reported for the month of August since 2010. Overall, shrimp landings in the Gulf were nearly 22% below the prior fourteen-year historical average (18.2 million pounds), with a 5 million pound drop off from last year (19.8 million pounds). The 6.4 million pounds of shrimp landed in Texas were the lowest since 2008 and the 4.7 million pounds of shrimp landed in Louisiana was the lowest for any August since 2011. For the year, 56.1 million pounds of shrimp have been landed in the Gulf of Mexico, the lowest for the first eight months of the year since 2010. In total, Gulf shrimp landings this year are roughly 24% below the prior fourteen-year historical average (73.6 million pounds). For the most part, ex-vessel pricing data for the month of August was in line with ex-vessel prices reported in August 2015. Northern Gulf ex-vessel prices for U15 count shrimp increased significantly, while prices for the same size shrimp in the Western Gulf increased more modestly. Northern Gulf ex-vessel prices for 26-30 count shrimp ($3.23/lb.) were virtually the same as in August of last year ($3.24/lb.) 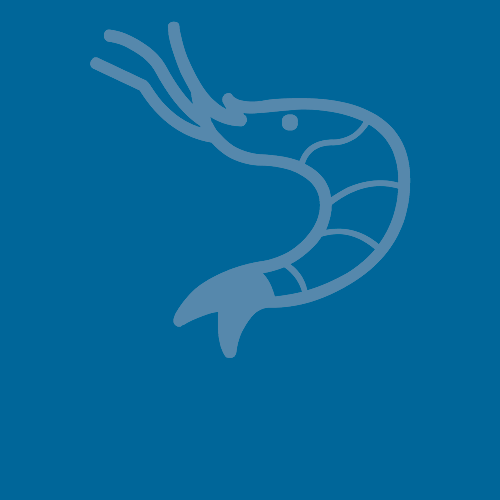 and Northern Gulf ex-vessel prices for 41-50 count shrimp ($2.16/lb.) remained low but were reported to be higher than August 2015 ($1.98/lb. ).